Edited by Anthony F. Lang Jr. and Gabriella Slomp. Abstract: This short article introduces the papers that follow on the topic of Hobbes as a theorist of the law. It provides an overview of Hobbes’ reputation as a theorist of law in both domestic and international theory. The paper summarizes the papers that follow and suggest how they fit into the wider literature on Hobbes, legal theory, and constitutional theory. Abstract: This paper brings forth the importance of public conscience in Hobbes’s account of politics and law. It connects this idea to the famous Martens Clause that played and continues to play a crucial role in international legal debates. The Martens Clause, part of the preliminary materials of the Hague Conventions, posits that humanity’s ‘public conscience’ should play a role in international legal norms concerning warfare when treaties or conventions do not provide guidance. The paper argues that Hobbes also appeals to public conscience in his construction of the relationship between law and politics. Rather than the private conscience that might challenge the sovereign, the public conscience is that which reflects moral principles such as equity which the paper argues is more important than justice in interpreting the law. The paper thus elucidates an important component of Hobbes’s theory and makes clear its relevance for international affairs. Abstract: Equity is clearly central to Hobbes’s theory of the laws of nature, and it has an important place in his doctrine of the duties and exercise of sovereignty. It is also prominent in his general theory of law, especially as it is articulated in the late Dialogue between a Philosopher and a Student of the Common Laws of England. Still, it is not more central to Hobbes’s ethics, politics and legal philosophy than his concept of justice, or even ascentral. On the contrary, his theory of justice is presupposed by his views about equity – in the sense that fidelity to a social contract is a condition of adjudication and definitive interpretation of law. Nor does equity contribute to a genuinely anti-authoritarian strand in Hobbes’s political philosophy. It is not as if, between the lines of that philosophy, Hobbes is a liberal. He does not think that the sovereign should exercise self-restraint because liberty and autonomy are good and sovereign self-restraint creates a space for both. Rather, he thinks that heavy-handed rule saps initiative, wealth and other resources from the people, making them less able to participate in or finance military action or internal state security. In other words, heavy-handed rule can make it harder for the sovereign to discharge the principal duty of sovereignty – ensuring public safety. Abstract: When he gave his first political work the title The Elements of Law Natural and Politic, Hobbes signalled an agenda to revise and incorporate continental Roman and Natural Law traditions for use in Great Britain, and from first to last he remained faithful to this agenda, which it took his entire corpus to complete. The success of his project is registered in the impact Hobbes had upon the continental legal system in turn, specific aspects of his theory, as for instance the right to punish, entering the European civil code through Pufendorf, and remaining to this day. This is a topic of considerable importance at a time at which the UK is considering scrapping the European Union, with all the attendant legal ramifications that entails. But strangely, despite some acknowledgement of Hobbes’s contribution to European civil law, and specifically the German civil code, the larger legal context for his thought has not thus far been systematically addressed. Abstract: I focus on Hobbes’s distinction between the natural and political persons embodied in one sovereign and show that, driven by their passions, ignorance, or bad judgement, rulers qua natural men may undermine the end they ought to pursue qua political actors, namely the protection of the well-being of the people. In particular, as legislators, they may make laws that are unnecessary, or that the people cannot endure, or that give rise to their impatience and discontent. I argue that in Hobbes’s argument, the notion of good counsel provides a safety net against bad commands being issued by rulers. I claim that the process of consultation of good counsellors is an essential component of Hobbes’s understanding of law-making. I suggest that the Hobbesian notions of counsel and counsellor provide a valuable framework to illuminate aspects of contemporary global law-making. 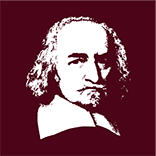 Abstract: This article examines Thomas Hobbes’s views on legal citizenship in relation to sovereign prerogative powers and the conditions of rule by law. It is argued that the authority of Hobbesian sovereigns includes the right to decide whether individuals be admitted as subjects of the state, or treated as public enemies. While Hobbes’s specific understanding of the legal status of citizens seems to be inapplicable today, it is suggested that he provides us with a broader perspective on the making and unmaking of citizens, which could be used to evaluate attempts to deprive terrorists of their citizen rights. In Hobbes’s view, the sovereign does not only have a right to formally admit or exclude individuals, but also a duty to constitute them as citizens through civic education. Hence, it is ultimately the government’s responsibility if citizens turn into enemies of the state. Abstract: Hobbes’ account of politics, law, and obligation has long been read, especially by realists in international affairs, as leaving no space for international law or institutions. This article argues that a more nuanced reading of Hobbes’ ideas about law and politics provides support for not only a defense of international law but a defense of a (chastened) global constitution. Hobbes’ constitutionalism does not derive from a separation or balance of powers but on two other elements of constitutionalism: the importance of the individual and the centrality of law. The article proceeds as follows: The first section locates Hobbes theory of law in relation to his theory of authority, drawing on David Dyzenhaus’s emphasis on the rule of law in Hobbes. The second section draws on theorists such as Larry May to find a defense of international law and institutions, what I call international constitutionalism. The third section turns to Richard Flathman’s interpretation of Hobbes as a theorist of liberal self-making, suggesting how his insights can be applied globally. The conclusion brings these thoughts to bear on the relevance of Hobbes for global law and politics.